and is designed for both conventional pipeline and meter prover services. allows detection from either direction with equal response. used in all operating pressures up t1800 psi. Two U-type, Teflon seals with stainless-steel spring inserts, maximizes shaft sealing to minimize the resistance of shaft-to-seal friction. For meter prover service, sealed to ensure an accurate setting. The microswitch trips within .001 inch of a predetermined point and the sealed switch eliminates the need for recalibration after replacement. 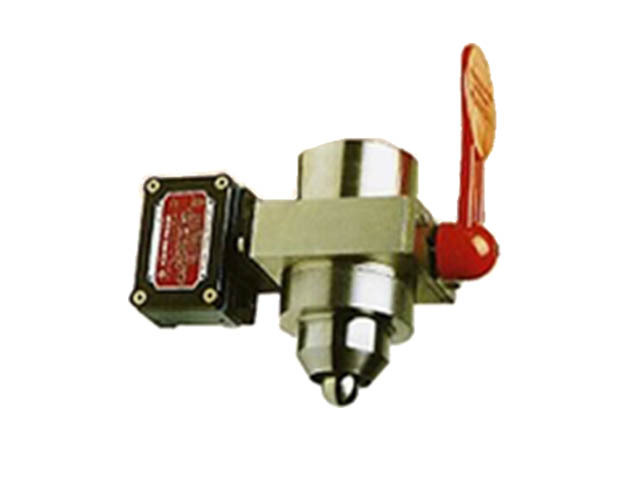 When specified, an optional nace type detector can be provided in sulfide stress-cracking resistant stainless steel to meet NACE MR-01-75 requirements. Multiple Accessory Flexibility: Twaccessories can be mounted on the standard, two-port, square accessory plate, with special four-accessory models available on request.